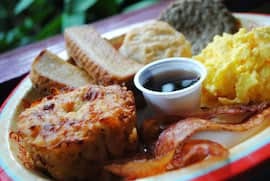 If you’re headed to Disney’s Animal Kingdom for an early-morning safari, here are delicious new reasons to wait and have breakfast at the park. 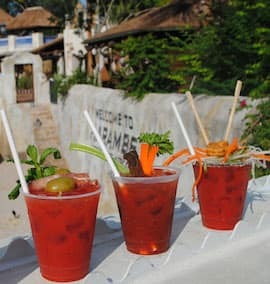 Just for grown-ups, we’ll start with four new morning pick-me-ups at Dawa Bar in Harambe Village, all inventive variations on the classic brunch cocktail, the Bloody Mary. The Discovery Island Bloody Mary is Grey Goose Vodka, Bloody Mary mix, lime juice and olive juice, garnished with parsley and a skewer of mozzarella cheese, tomato, basil and stuffed olive. The Dawa Bloody Mary kicks up the heat level with Worcestershire sauce and horseradish, and is garnished with fresh basil and a skewer of truffle and blue cheese-stuffed olive and prosciutto. 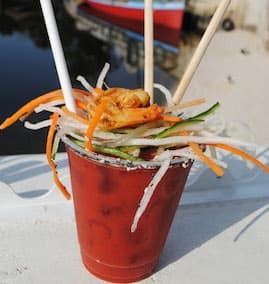 The Asian Bloody Mary adds spicy kimchee-sriracha puree and is garnished with Asian slaw (cucumber, carrot, daikon radish) and tandoori shrimp. Finally, the African Bloody Mary is finished with spicy African berbere sauce and garnished with berbere-rubbed beef jerky, celery stalk, carrot and parsley. All four drinks are $9.50. 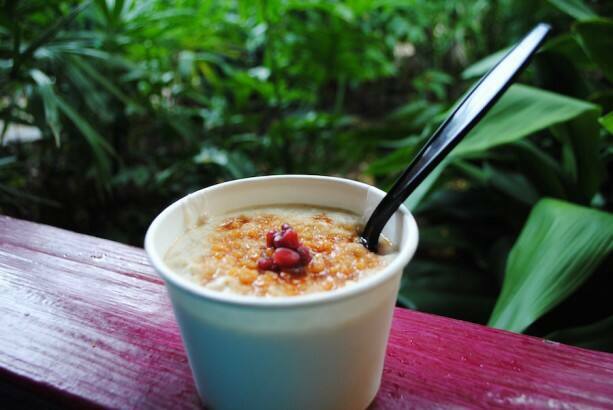 At Pizzafari in Discovery Island, our favorite new healthful breakfast is the Ancient Hot-Grain Cereal, a hearty bowl of oatmeal, barley and quinoa simmered with spices and topped with salted caramel crumble ($3.99). 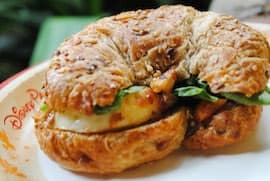 Also at Pizzafari, the new multi-grain breakfast croissant is stuffed with egg whites, fresh spinach, provolone cheese and vegetable chutney, with a side of breakfast potatoes ($7.49); the hearty breakfast burrito has a filling of scrambled eggs, sausage, peppers, cheese and salsa ($6.49). The kids’ breakfast pizza starts with a flatbread that’s topped with scrambled egg, chopped bacon and Cheddar cheese ($4.99); the kids’ breakfast platter is a generous combo of scrambled eggs, turkey sausage, breakfast potatoes and multigrain hot cereal ($4.99). The breakfast offerings at Pizzafari are part of the Disney Dining Plan. These are great food offerings! Until what time is breakfast served at Pizzafari? Would like to clarify – the last sentence says None of the breakfast offerings are part of the Disney Dining Plan! So does that mean if you are on the Quick Service Dining Plan Breakfast at Pizzafari is not on the Plan? 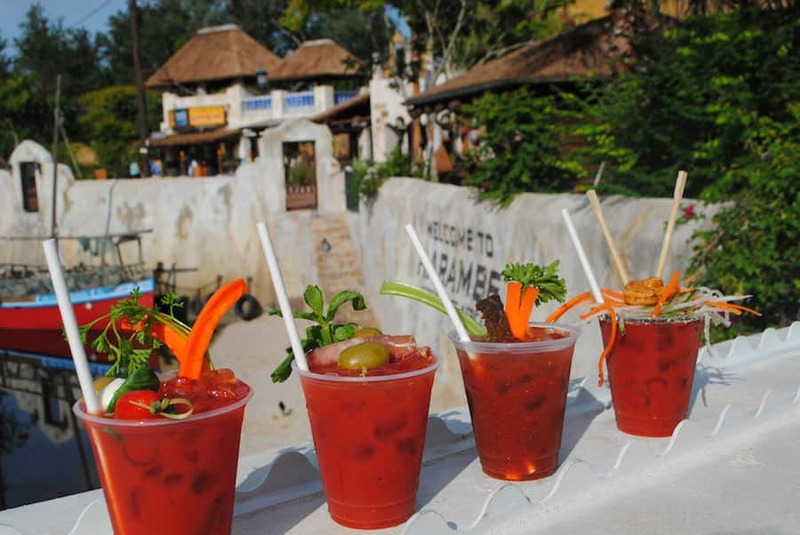 The breakfast offerings at Pizzafari are part of the dining plan, the Bloody Marys are not. The Ancient Hot-Grain Cereal sounds delicious! I’m staying at the Animal Kingdom Lodge October 2015 so I hope it ends up on the breakfast menu there too! Although Disney pancakes are always the best way to start your day! 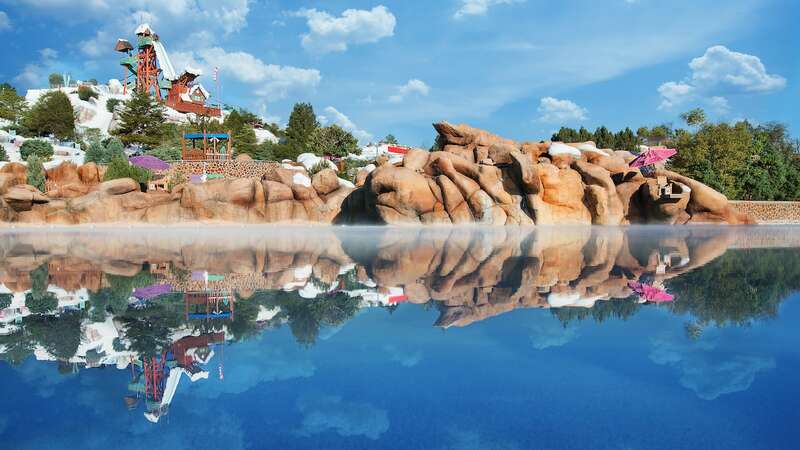 Are the new adult beverages at Dawa Bar only available during morning hours or will they be available all day as well? 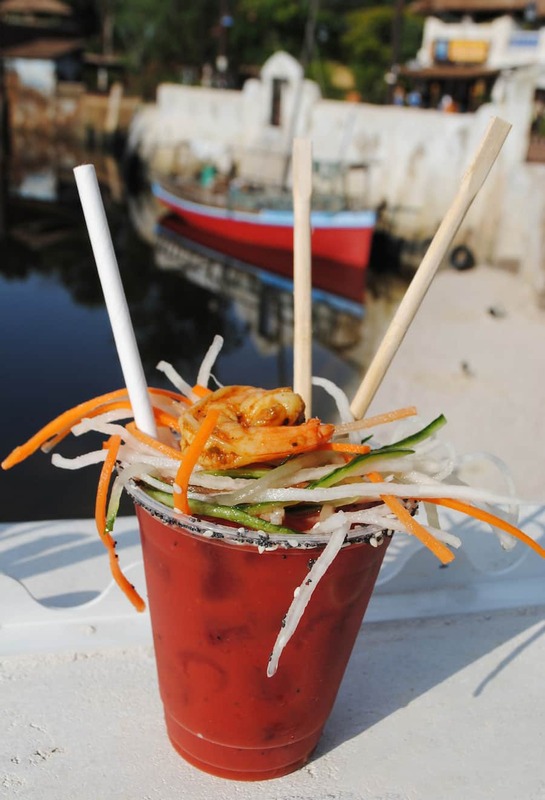 The new Bloody Marys are only available from 9:00a.m. to 11:00a.m. but you will find other adult beverage available throughout the day. How early do they begin serving the adult beverages? How early could you get liquor before? Dawa Bar opens at 9:00a.m. and adult beverages are available throughout the day! However, the Bloody Marys are only available from 9:00a.m. to 11:00a.m.